A bit of an older image (photographed in 2011) but I found a lot of photography opportunities with my Canon 100mm macro lens and these cucumber tendrils in a backyard greenhouse. 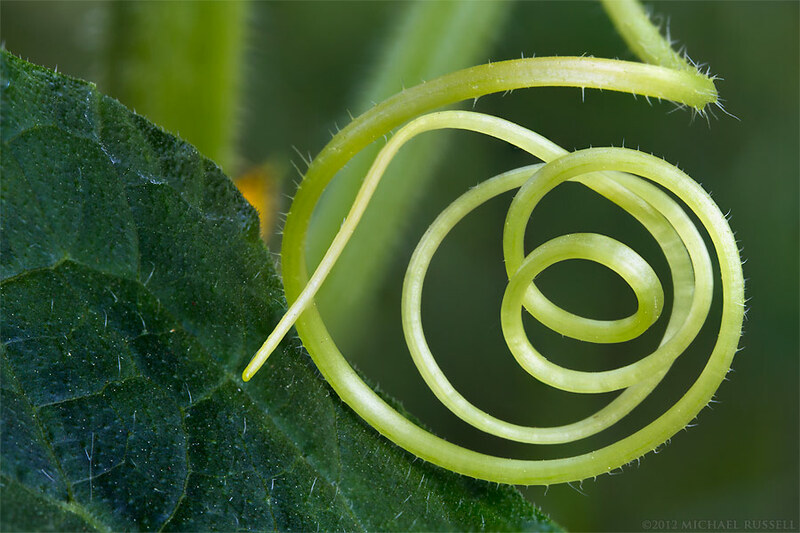 I photographed the leaves and the flowers from a few angles but settled on these curled tendrils as the most interesting aspect of these plants. More of my macro photography can be found in the Macro Photos Gallery.